Our panel will discuss the growing movement to recover and preserve the health of Piemonte’s vineyards. Boschis’ and Rocca’s wineries are prominent, visionary members of a growing industry group known as The Green Experience®. The so-called revolution in Barolo at the end of the 20th Century was not just about modern versus traditional styles of the iconic wine. And it wasn’t just in Barolo. It was also about a fervent movement that arose from young vintners’ realization that their generation was charged with cleaning up their vineyards from the failed quantity-first post-World War II agricultural policies. They sparked a fire that spread throughout the region, but their methods often brought them ridicule. Today, however, they are seen as visionaries in the quest to preserve Piemonte’s wine country for generations to follow. The Green Experience® is a 21st century outgrowth of the passion of these visionaries whose practices, once ridiculed, are now commonplace. Over 100 wineries in the UNESCO World Heritage Site region of Langhe, Roero, and Monferrato, including E. Pira e Figli and Albino Rocca, are certified members of The Green Experience that Cuneo region members of Europe’s largest agricultural professionals organization, Coldiretti, formed to recover the health of the land and preserve it for future generations. For more information on The Green Experience, visit http://www.thegreenexperience.it. 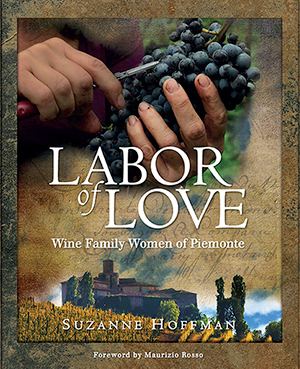 Suzanne Hoffman is an attorney, journalist, and author of the award-winning book, Labor of Love: Wine Family Women of Piemonte. She lived and worked for over two decades in Switzerland during which time she fell in love with Piemonte’s wine families and their vinous labor of love. Suzanne is a wine family expert and a frequent speaker on the familial wine industry. A cherished part of her work to promote the region and the families is to lead small, highly personalized tours of Piemonte. Her goal is to weave the culture and history of wine regions into the marketing of family owned and operated wineries to create stronger connections between producers and their clients. Suzanne lives near Vail, Colorado with her husband, Dani, and wine dog, Arneis.